C. Taylor Cole, Jr. joined Harren Equity Partners in 2014 and is primarily responsible for sourcing, executing, and managing investment opportunities within the Healthcare Services industry. Those activities are closely aligned with the investment strategy he has executed upon since the late 1990’s, which includes segmenting the market, developing investment themes and theses, working closely with entrepreneurs and operating executives to source and close deals and building outstanding businesses in partnership with talented management teams. Prior to joining Harren, Taylor was a member of Charterhouse Group, a middle market private equity firm based in New York City, for nearly seventeen years. During that time he was responsible for the firm’s healthcare investment activities. Taylor’s experience within the healthcare industry at Charterhouse included approximately $250 million of invested equity capital across numerous platforms and dozens of add-on acquisitions. 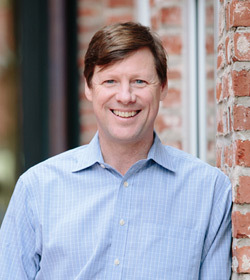 Taylor has served as a member of the Boards of Directors of numerous healthcare companies including Upstream Rehabilitation, Cross Country Healthcare, Chamberlin Edmonds & Associates, and The Camelot Schools. He currently serves on the Board of MedPro Healthcare Staffing. In addition, Taylor regularly participates in speaking engagements related to private equity investing in the healthcare services industry and previously served as Treasurer of the Health Care Private Equity Association, a nonprofit trade association that represents the U.S. healthcare private equity industry. Prior to joining Charterhouse in 1998, Taylor held positions at Morgan Stanley & Co., Kirkland Investment Corp. and Lehman Brothers. Taylor holds a B.A. from the University of Virginia and an M.B.A. from the Darden Graduate School of Business Administration at the University of Virginia. In addition to professional board service, Taylor enjoys serving as a member of the Board of Directors of The Jazz Gallery, a New York City based nonprofit organization that nurtures the upcoming generation of professional jazz musicians. He also contributes regularly to his alma mater, currently as a member of the Darden Private Equity Club Advisory Board and Board Member of the Eli Banana Fund, which regularly makes alumni-funded donations to specific projects within the UVA community. Taylor and his wife Hobby have two sons, Holmes and Franklin.